Comprising grey Portland Cement, specially treated Quartz sand and a compound of active chemicals, when Triton Vandex Super is applied to a concrete surface the active chemicals combine with the free lime and moisture present in the capillary tract to form insoluble crystalline complexes. These crystals block the capillaries and minor shrinkage cracks in the concrete to prevent any further water ingress (even under pressure). However, the Triton Vandex Super layer still allows the passage of water vapour through the structure and allows the concrete to ‘breathe’. Application can be made by brush, suitable spray equipment or by dry sprinkling to sound, open pored, moistened surfaces. 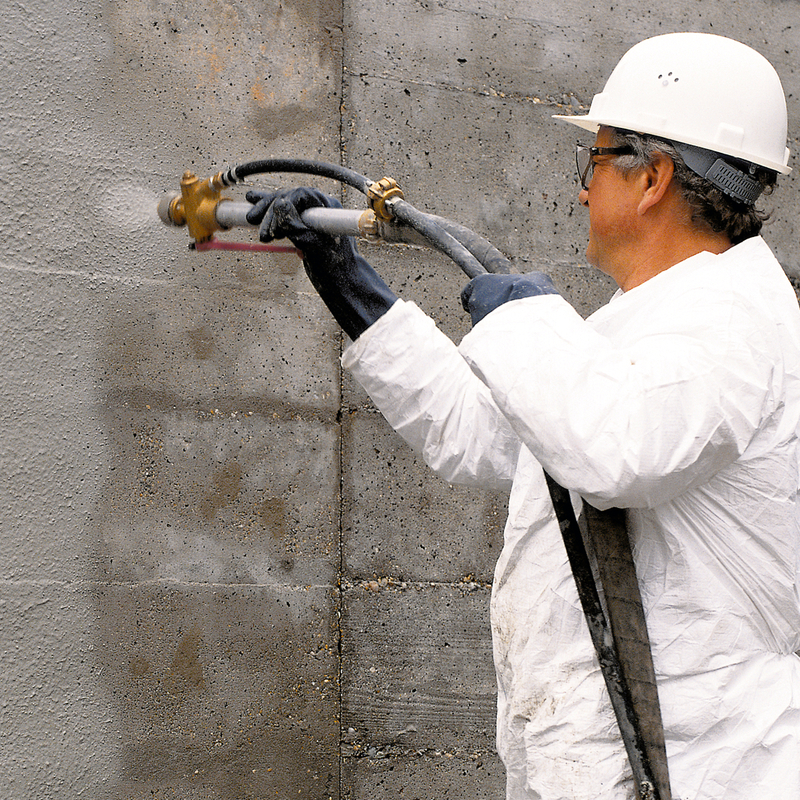 In addition to waterproofing the structure, Triton VANDEX SUPER protects concrete against sea water, waste water, aggressive ground water and certain chemical solutions. Please see data sheet for detailed information.